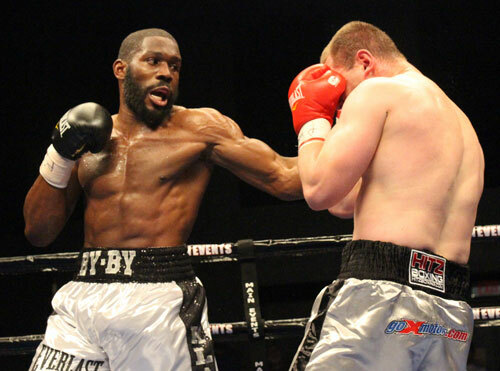 Bryant Jennings pounded his way to an exciting 6th round TKO victory over Russian Andrey Fedosov Friday night at the Sands Bethlehem Event Center. With the win, the highly ranked Jennings remained undefeated (17-0, 9 KOs) and kept his goal of fighting for the world heavyweight title on track. The fight was a busy battle with both fighters landing hard punches and doing what heavyweights traditionally do best - punch. Although both men threw and landed plenty of leather, it was Jennings who had control throughout the fight. The North Philadelphian was the better athlete, and was faster, fresher, and more powerful than his opponent. By round three, Bryant's punches began to take their toll on Fedosov's face, marking him around both eyes. Eventually Andrey's left eye closed, and Jennings won the fight when referee Steve Smoger stopped the brawl between the 6th and 7th rounds on advice from the ringside doctor. But Fedosov fought hard the whole way and provided a very good test for Jennings. 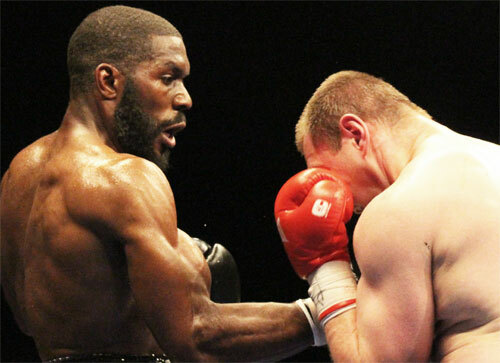 Bryant Jennings is a thinker outside the ring. He's a smart guy concerned with the marketing, politics and business of his career. When he talks about boxing, the conversation is focused on these issues and the intricate moves that will place him in a world title fight, but Jennings rarely talks about the fighting itself. When a fighter has all this on his mind, sometimes you wonder what his appetite for battle is really like. I must admit, although I know that Jennings prepares himself for battle with gusto, I've often wondered how he'd react if he ever found himself in a two-way war. Would he have the temperament of a fighter, or would he fight like a businessman? The Fedosov fight displayed that indeed Jennings is ready for battle and quite capable of waging war. Throughout the fight Friday night, Bryant was tested. He was clearly the better fighter in there, but Fedosov remained in the fight and gave it all he had. Often after a volley by Jennings landed with a thud and appeared to hurt the Fedosov, Andrey would respond with his own punches that cracked Jennings and tested his will. 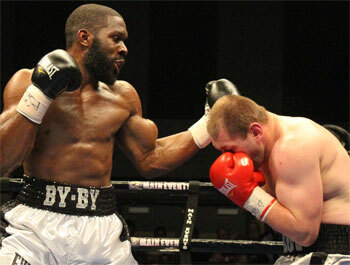 Bryant had to fight all night, even though he was gradually breaking his foe down and setting the stage for the win. It was exactly the type of fight that Jennings needed at this point in his career, and will serve him well down the line against bigger and better competition. "I wasn't surprised," Jennings said in his dressing room after the fight. "I was definitely expecting that kind of fight. He hit me with some good shots, and he had nothing to lose. He was a good challenge." The fight started with Fedosov pressing the action while Jennings picked his shots. The fighters split the first two rounds. With Jennings' accurate jab taking the first and Fedosov's pressure winning the second. However, Jennings nailed his rushing foe near the end of the second and Fedosov really felt it. The third round was a rumble. Fedosov got things started with a solid left hook. Moments later, Jennings returned the favor with his own hook and followed it up with a vicious volley of power shots that backed Fedosov up. However, by the end of the round, Andrey was back in swinging and drilled home a shot that appeared to rock Jennings. The fourth round was a tough, grueling affair with the boxers trading shots. Fedosov backed Jennings to the ropes, where Bryant covered up and waited to pounce. After Fedosov would complete a flurry, Jennings would bite back with hard shots and turn off the ropes. You could see Jennings was experimenting under fire, and for the most part winning the exchanges, but it wasn't easy. "He adjusted to the situation," trainer Fred Jenkins said of Jennings. "That guy was like Smokin' Joe Frazier. Non-stop. BY had to step up. He had to step up his work and change it from power to speed. Keep out of the way, keep moving." Jennings moved well in the fight and kept the jab pumping the whole way. But Jennings said he was jabbing his shorter antagonist with caution. "My jab would have been more effective against a taller guy," Jennings said. "My jab was shooting down (because Fedosov was smaller). I didn't really want to keep shooting it down and get caught with something coming over." Jennings did get caught several times, but he always seemed to see the punches coming, and took them well. "I never got nervous," Jennings said. "My plan was to stay comfortable and keep my composure at any given time. You just have to be able to adjust to it." As the fight wore on, Jennings was winning the rounds much easier, and Fedosov's face was showing just how effective Jennings' punches were. However, the Russian was still pressing the action and often moved Jennings around the ring and to the ropes. "That pressure wasn't really anything that I couldn't really take," Jennings said. "I was giving. I just stepped down the ropes and I found that he was really indecisive about what he wanted to do. As I stepped down the ropes, I was getting some rest and pacing myself, and trying some things out. You've got to let him into the fight a little bit, bait him in and let him think that something's working. You want him to continue to do that instead of going for broke. So I just kept him in the fight. There was never a time when he hurt me." "Most of the shots he hit him with, we gave him," Jenkins added. In the 6th round, the crowd got into it and began chanting "USA, USA, USA", as Jennings worked over the Russian. The chant reminded everyone what Jennings represents to American fans. He is a real hope to eventually bring the championship back to the United States after a very long estrangement. Jennings finally shifted his attack to the body and the adjustment seemed to take a lot out of Fedosov. He slowed down and seemed to shrink away from the fight slightly. However, when the 6th round ended, everyone prepared for another round of the exciting dog fight. However, the fight would end moments later after the referee and the doctor compared notes. Team Fedosov did not reject the decision to stop the fight one bit. Their man had fought hard, but was unlikely to turn things around. Fedosov's record slid to 24-3, 19 KOs. 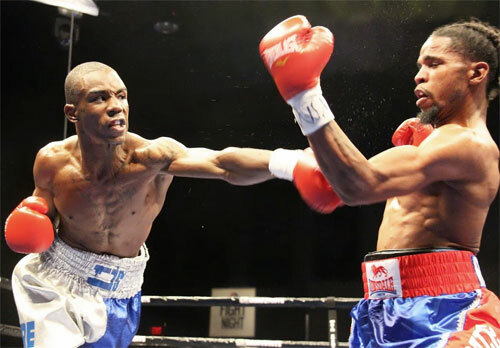 The stoppage probably deprived Jennings of a clear-cut knockout victory, but the North Philly contender still carved out an impressive win, and picked up some excellent lessons along the way. "It was sensational," Jenkins said of the fight. "Rock-em, Sock-em. Back and forth. He kept his cool, and didn't lose his head. He got hit with some good shots, came back with some good shots, and he still did some maneuvering under that pressure. It was good, but he still left some little things out." Jennings and Jenkins know they are still in development and are still learning on the job. Jennings may still have a few lessons to learn, but he taught us that he has the stomach for war and I'm not just talking about his six pack. Jennings appears to be both a businessman and a real fighter. "I knew what I was getting myself into," Jennings said. "I know those Russians train hard. They are very disciplined. He had more knockouts than I had fights. I had to figure out ways to overpower him. I started to use the ring and then I started to use more speed, which got to him a little bit more. And that was his first time being stopped," Jennings said proudly. A tough test, well passed. So what is next? "Klitschko," Jenkins answered quickly and loudly. Jennings nodded his head. "Yeah, We're hoping for that," Jennings said. "By the time that comes, I'll be in better preparation for whatever comes. You never know, those Klitschkos may hit softer than this guy." If the Klitschkos do hit softer than Fedosov, then Jennings's dreams will definitely come true. And I'm starting to think they might come true, even if they hit harder. 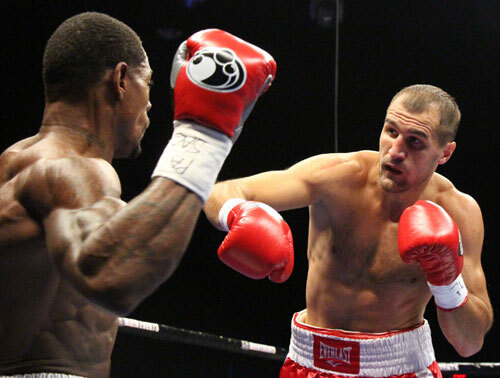 In the scheduled 12-round co-main event, Russian light heavyweight Sergey Kovalev scored another big knockout, disposing of Cornelius White of Houston, TX. 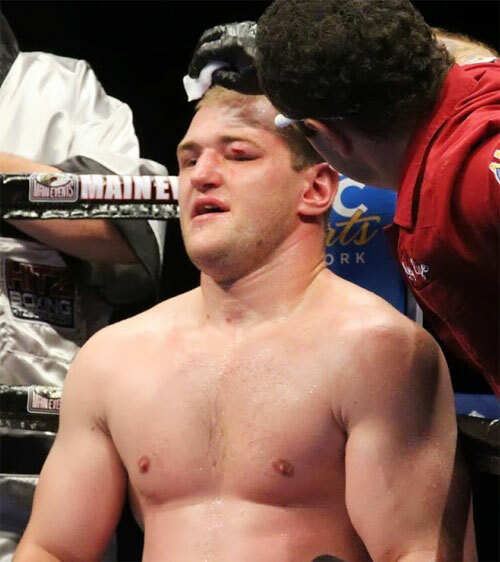 As the bout got underway, Kovalev wasted no time landing big shots to White's head and body. 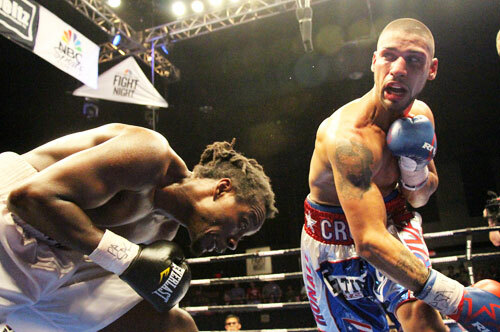 The punches landed with such force that each one contorted White's body in a different direction. He quivered with each punch and it became clear that the fight wouldn't last long. In round two, White went for broke and landed a few times with his own power right hand shots. One of the rights appeared to wobble Kovalev a little, but the punching machine fought his way through it and resumed his beat down. 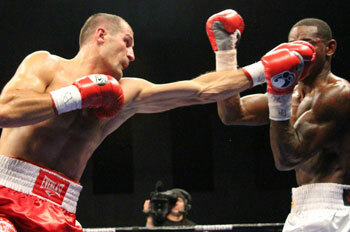 In round three, Kovalev put on a fireworks display for the big Bethlehem crowd. A very stiff left jab put White down for the first time. 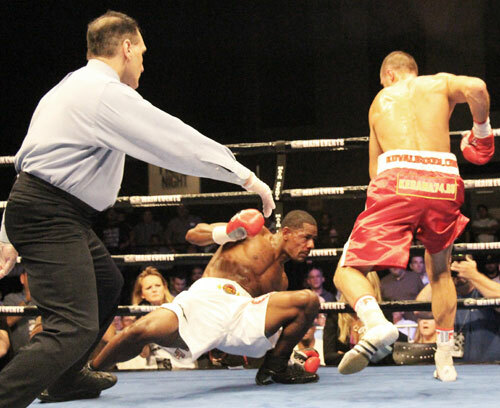 He gamely regained his feet only to be met with a brutal left hook that floored him again. White got to his feet once more, but another left hook came crashing in and sent him to the canvas for a third and final time. Referee Gary Rosato waved the fight over as soon as White hit the floor. The time was 1:42 of round three. White dropped to 21-2, 16 KOs. "I feel good, I feel good," Kovalev said after the fight. "I'm going to celebrate my win. I'm ready for anybody, for any champion, I am sure. And because I am sure, I want to fight any champion... on HBO." 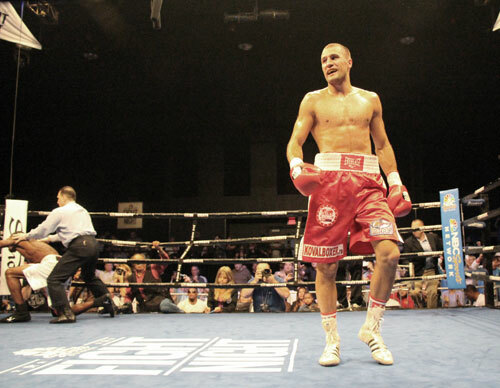 That makes five straight KOs for Kovalev, four in the United States where he is building a good fan base. He appears to be the real thing. At the very least he has the proverbial puncher's chance against anyone out there. But the 30-year old Kovalev, 21-0-1, 19 KOs, very well may have more than just that. This fight was an IBF eliminator for the #1 spot in the 175-pound rankings. With IBF champion Bernard Hopkins' scheduled fight with mandatory challenger Karo Murat now scrapped, how great would it be to see the heavy-handed Kovalev get his chance against the living legend, or sudden star Adonis Stevenson, who blasted out Chad Dawson last weekend. Are you listening HBO? 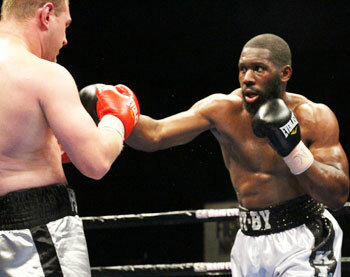 In another nationally televised fight, Bronx-based Ghanan Ray Narh dished Bethlehem's Ronald Cruz his second straight professional loss. Narh returned from a two-year layoff, but showed no signs of ring rust in the fight, and locked down a clear points win over 10 rounds. Underdog Narh used a sharp jab, a variety of effective power shots, and all the seasoning he picked up in his previous 27 fights to completely control the fight. He kept his hands moving, while Cruz fought in spurts. Ronald fought hard, but could not get anything going in the bout. When Cruz did land with power, he had some success, but his hurting shots either came late in the round, or were not followed up. Meanwhile, Narh moved around the ring with his stiff, upright style, jabbing well and cracking with straight rights and harsh uppercuts. There were a number of two-way exchanges during the fight, especially in round three, which was probably Cruz' best round, but generally Narh was busier and more effective. 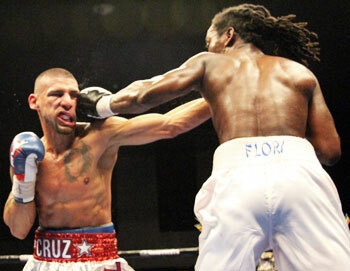 Cruz rallied late in the fight, as his chances for victory slipped away. He landed well in the ninth, hurting Narh, but the man from Ghana wasn't going anywhere. It was a terrific performance for Narh, who left no doubts about the outcome. All three judges scored the fight for Narh. Pierre Benoist had it a shutout, 100-90. Julie Lederman gave Narh eight rounds for a 98-92 tally. David Braslow saw the fight the closest, at 96-94. My score echoed Julie's, 98-92. 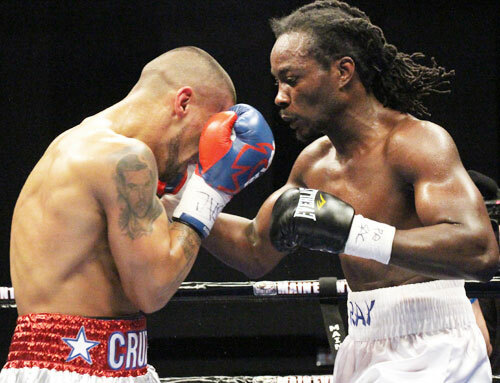 This was a tough loss for Cruz, 17-2, 12 KOs, who went back to the drawing board after his last defeat. Yet, this loss was reminiscent of the last, with similar mistakes made and a similar outcome. Going in, Cruz described the fight with Narh as his last chance, a do or die situation. The loss is definitely a setback, and will likely end his streak of nationally televised bouts. However, that may be a good path for Cruz, to really go back to the basics and rebuild things completely. Cruz is an entertaining and hard-working pro. If he can truly learn from these two losses, he'll be back in the chase. Narh proved that a good fighter is a good fighter regardless of a long layoff. He looked sharp and capable, even at age 35 (almost). The "Emperor" moves on at 26-2, 21 KOs. 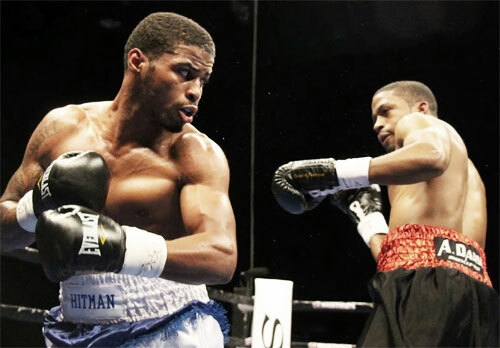 The preliminary fights started with a six round junior welterweight fight between Hasan Young of Philadelphia and Ariel Duran of Queens, NY. Young was the aggressor in the fight and after a slow start began piling up rounds. Duran did a lot of holding and only really traded with Young as the fight came to a close. 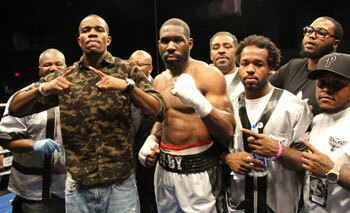 Young took the unanimous decision by easy scores of 60-54, 59-55 and 58-56. My card read 59-55. Young improved to 3-1-1, 1 KO; Duran slipped to 7-5-1. 4 KOs. 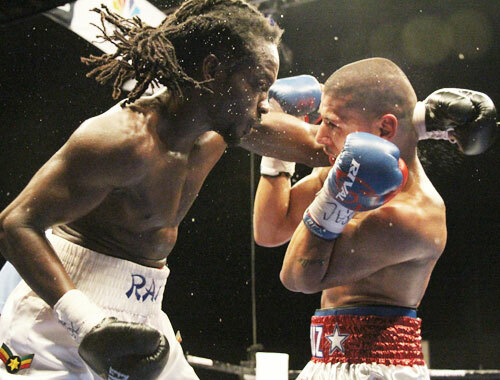 In a wild junior welterweight brawl between two southpaws, Bethlehem's Jerome Rodriguez and Treysean Wiggins of Newburgh, NY, traded first round knockdowns. 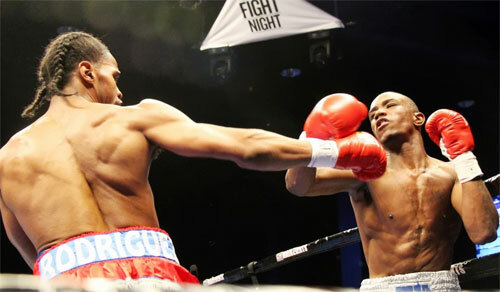 Rodriguez struck first banging Wiggins with a left that knocked him into the ropes. The ropes kept Wiggins up, and referee Gary Rosato appropriately called the incident a knockdown. Then as the round drew to a close, Wiggins battled back and floored Rodriguez before the bell. In round two, Rodriguez shook off the affects of his trip to the canvas, and stormed back to drop Wiggins with a hard left hook/uppercut. Wiggins went down and didn't come close to beating the count. The intense fight ended at 1:38 of round two. 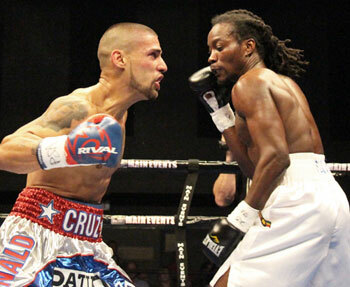 Rodriguez remained unbeaten, 4-0-1, 2 KOs, while Wiggins lost for the first time as a pro, 3-1, 3 KOs. 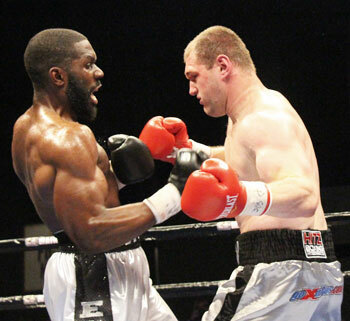 Allentown, PA heavyweight Bill Marks made a successful professional debut with a surprise 4-round majority decision over Randy Easton, 0-2-1, of Williamsport, PA. It appeared from my vantage point that Easton had done enough to win the slow contest (39-37), but the official judges gave the victory to Marks. Julie Lederman saw it even at 38-38. However both Pierre Benoist and Ron McNair felt Marks had won it by a score of 39-37 (3-1 in rounds). 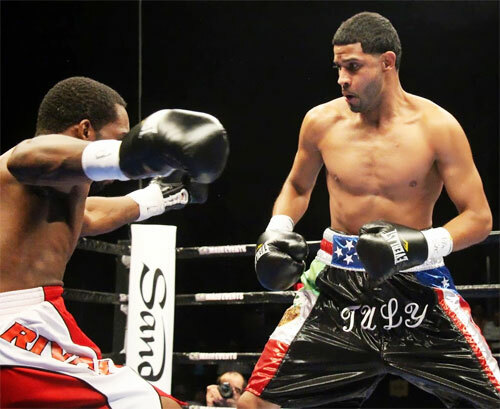 In a 4-round swing bout, junior middleweight Arturo Trujilo, Easton, PA, made a splash in his pro debut with a 29-second TKO of Anthony Watson of West Philly. Trujilo dropped once Watson with a straight right-left hook combo. After Watson got up, Trujilo unleashed a flurry of shots that put the Philadelphian down again, and forced referee Shawn Clarke to halt the fight. It was also Watson's debut. The fight was placed just before the Jennings bout, after Kovalev's quick KO left a gap in the schedule. The Sands Bethlehem Events Center was full, if not completely sold out. The three main events were televised live by NBC Sports Network on their FIGHT NIGHT boxing series.